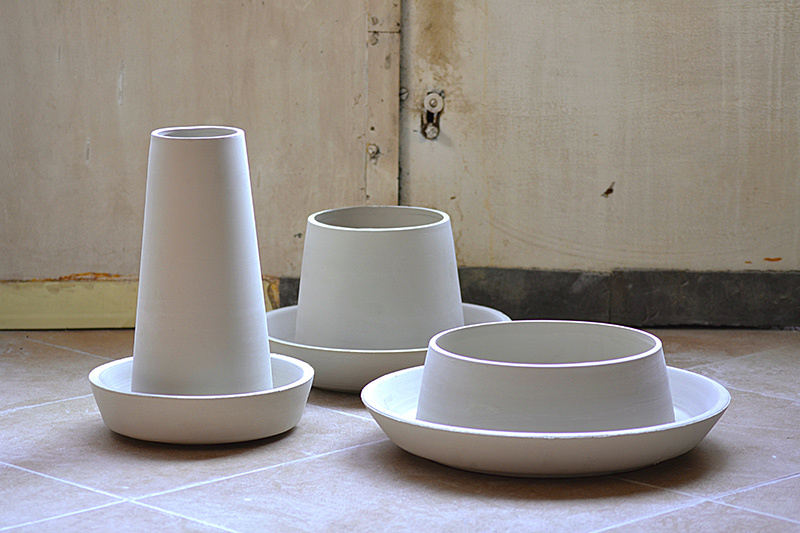 A family of vases drawn while observing the different shapes of roots. 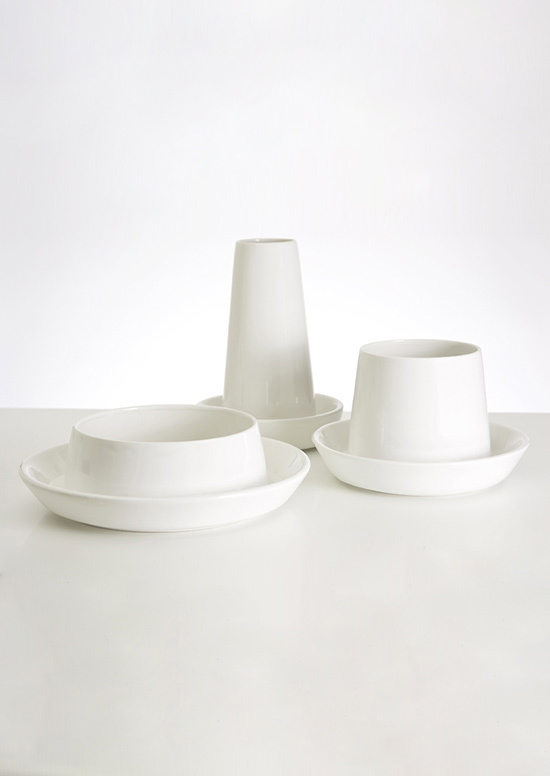 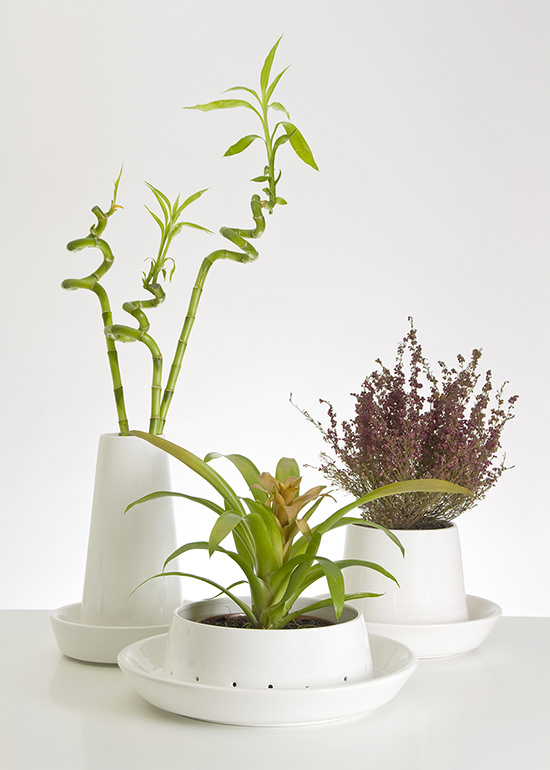 In order to follow the natural development of roots, the archetype of vases is inverted. 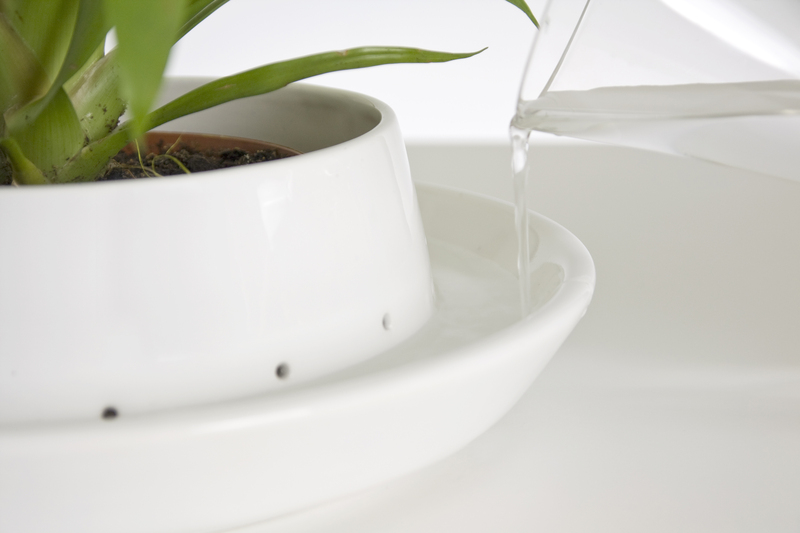 Moreover the vase and its saucer have become a single object with the water passing through small holes.